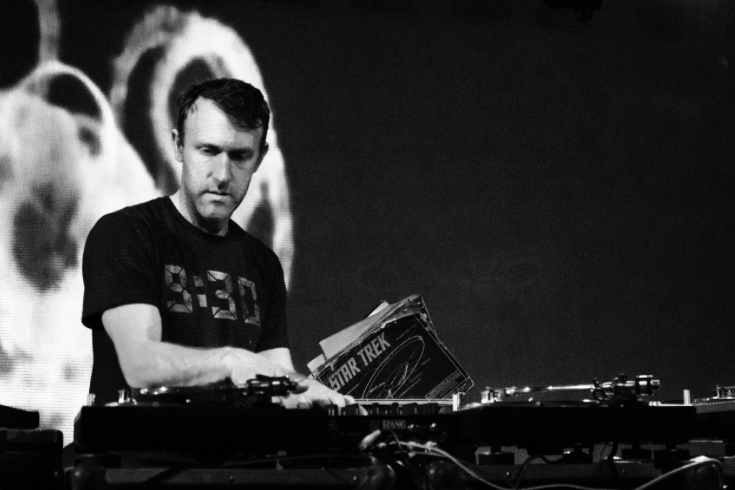 Philadelphia producer and artist RJD2. In an interview with Rolling Stone, the prolific Ramble Jon Krohn opened up about how the community of musicians in his hometown of Philadelphia shaped a more soulful approach on the new album. "Living in Philly provided a context for a lot of soul music that I had liked. I didn't have any cultural context for this music that I liked – it was just music that I had stumbled across as a beat-making nerd. Philly was a place where there were enough people who had the same musical vocabulary that I did, which made the music more than something I had just discovered on my own." 'Dame Fortune' will be RJD2's tenth full-length album, joining multiple collaborations (such as 'STS x RJD2', released last May) and a producer's credits that include standouts like Aesop Rock, Mos Def, Souls of Mischief, Yo La Tengo, and J-Live. The first single, "Peace of What," was released earlier this week, featuring guest singer Jordan Brown and an instantly familiar "wah" track to get things going. In addition to the Philly Soul motif, 'Dame Fortune' sets out to address the barriers to reconciling social unrest in contemporary America, from violence and inequality to racial injustice. "When I hear people talk of peace in America, the discrepancy between our words and our actions can get fatiguing," Krohn said. "I was trying to reflect the experience of people I know, which often feels like 'We're not ACTUALLY trying to do anything about this problem in our country.'" The 12-track 'Dame Fortune,' featuring vocals from Son Little and Phonte, comes out March 25. You can check out RJD2 live at Union Transfer on May 28.